“Will you pardon an illustration here, even if it be a personal one? Last year in a city in Texas, I was told of the desire on the part of a lady for conversation, and when we met by arrangement she came in widow’s [clothes], with a little boy of ten or twelve years old, and began to tell this story: Her husband was once a student at the University of Virginia, when the person she was talking to was the chaplain there, more than twenty-five years ago. 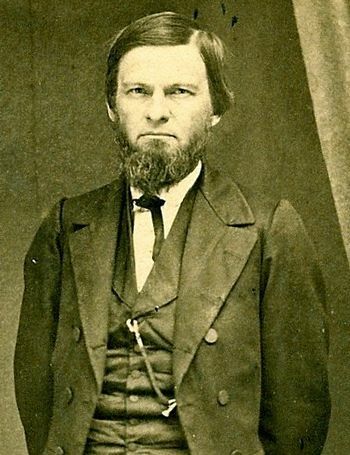 He was of a Presbyterian family from Alabama, and said he never got acquainted with the chaplain, for the students were numerous, but that he heard the preaching a great deal, and in consequence of it, by God’s blessing upon it, he was led to take hold as a Christian, and went home and joined the church of his parents. After the war he married this lady, and a few years ago he passed away. She said he was in the habit, before she knew him, she learned, of talking often in the family about things he used to hear the preacher say; the preacher’s words had gotten to be household words in the family. And then when they were married he taught some of them to her, and was often repeating things he used to hear the preacher say. Since he died she had been teaching them to the little boy–the preacher’s words. In honor of John A. Broadus, educator of a generation of Baptist preachers, who died on this day in 1895. I’d love to know his words 😊. Thanks for sharing this!!! !